Kathleen O’Connor, photo courtesy of Alice Bampton. 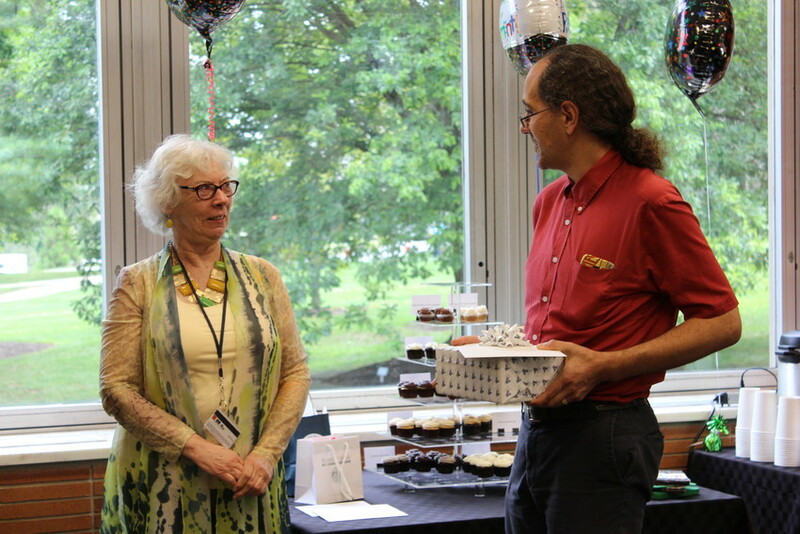 Kathleen (Kathy) O’Connor, senior librarian for Systems Planning and Support, retired on Sept. 1 after 40 years of service to Falvey. 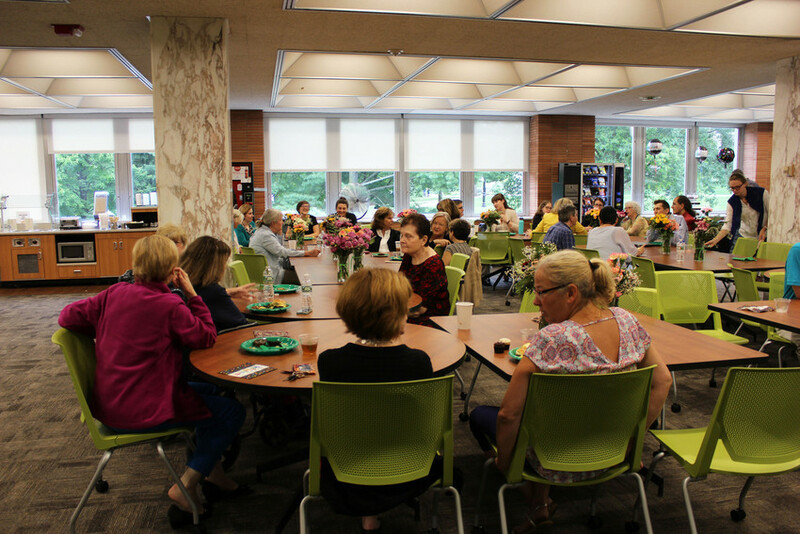 She was honored with a farewell luncheon on August 8 and awarded a mantel clock in recognition of her many years of dedicated service to the Library. During her 40 years at Falvey, O’Connor served under five library directors plus a number of interim and acting directors. O’Connor thanks Falvey’s librarians, staff and her many student employees for the learning opportunities and experiences she enjoyed in the Library. “I’ve been blessed,” she says. She began working full-time as a database manager in August 1977 shortly after receiving her master’s degree in library science from Villanova. (Villanova’s library science program closed in the early 1980s.) She became the head of the circulation department in 1979 and in 1987 she became the systems librarian. In 2006 O’Connor was appointed senior librarian for Systems Planning and Support, the position she held at retirement. In addition to her work as systems librarian, she also served on the Assessment team led by Merrill Stein. Kathleen O’Connor and Demian Katz, Director of Library Technology, photo courtesy of Alice Bampton. 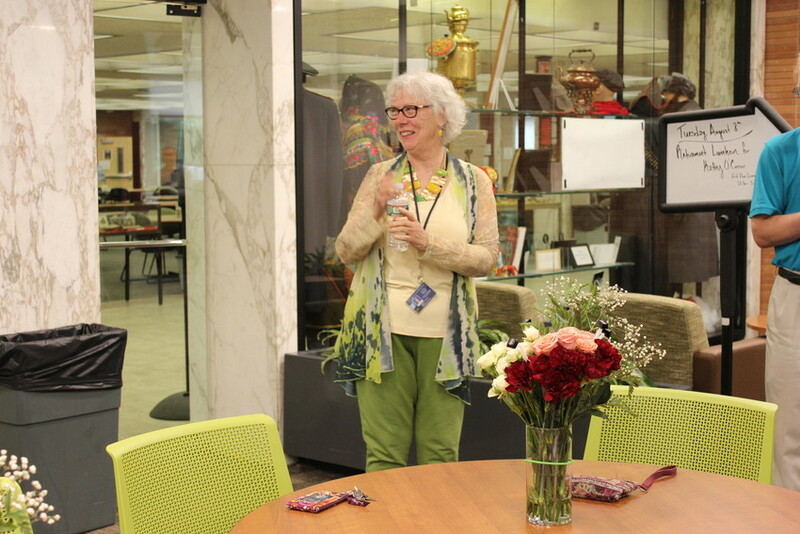 Library staff celebrate Kathy’s 40 years at Falvey, photo courtesy of Alice Bampton.